Another imaging session – this time around with good result. When I began the setup, totally clear sky waited for me, though I knew it will be short lived. The satellite photos were showing a huge proportion of clouds heading toward London, so I was hoping to get it done before disaster strikes. Racing against the clock – typical but not surprising… The forecast below is as always from Heavens Above website. I did not process the video immediately, clouds made me so disappointed. Next day I ran through the frames and for my biggest surprise there were some sharper frames, still not ideal but way better than I expected! Of course one could ask what would the images be like if it’s completely clear. But it is all hypothetical, let’s deal with what I have got. When I end up at least one good sharp frame, I always try to identify smaller modules and docked/berthed spacecrafts too. It is fun to find them as a guide I use Nasa’s own drawing which show the current situation up there. This particular render is from this post. 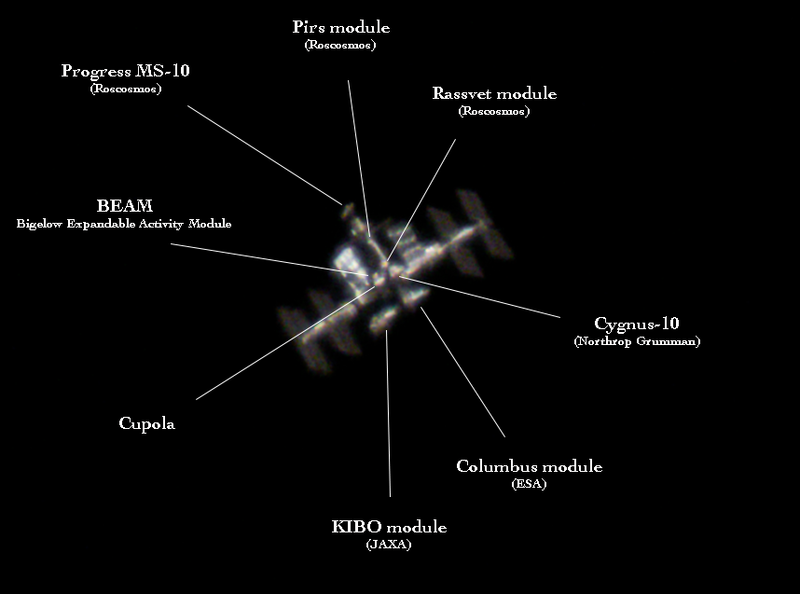 I marked all modules except the most obvious elements of the station (solar arrays and the two rectangular radiators). Currently on three cargo spacecraft attached to ISS. 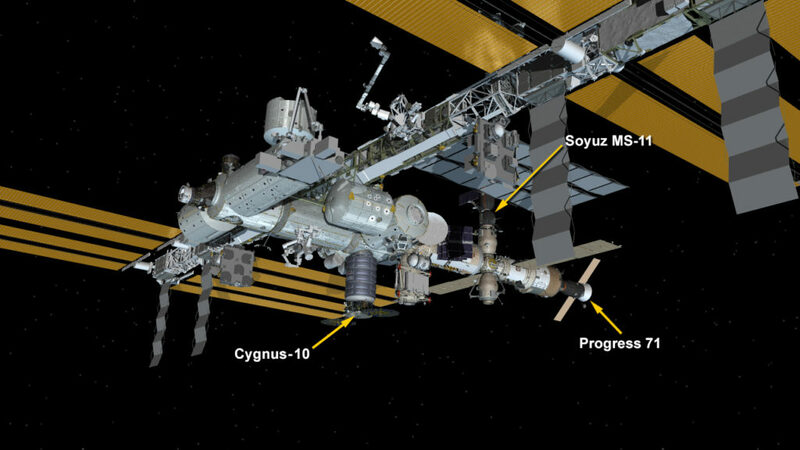 on the nadir side (Earth facing side) the Cygnus-10 and at the end of the russian segment the Progress MS-10 (or Progress 71). Opposite nadir side is Soyuz MS-11 which was visible on one of my photos taken a few days earlier. And finally I ran through the frames once again and found four of them, so decided to use them for a 3D animation. Due haze they are not sharp enough to have a real good 3D effect, but take it as a practice for better, more successful times. nice work! well done. 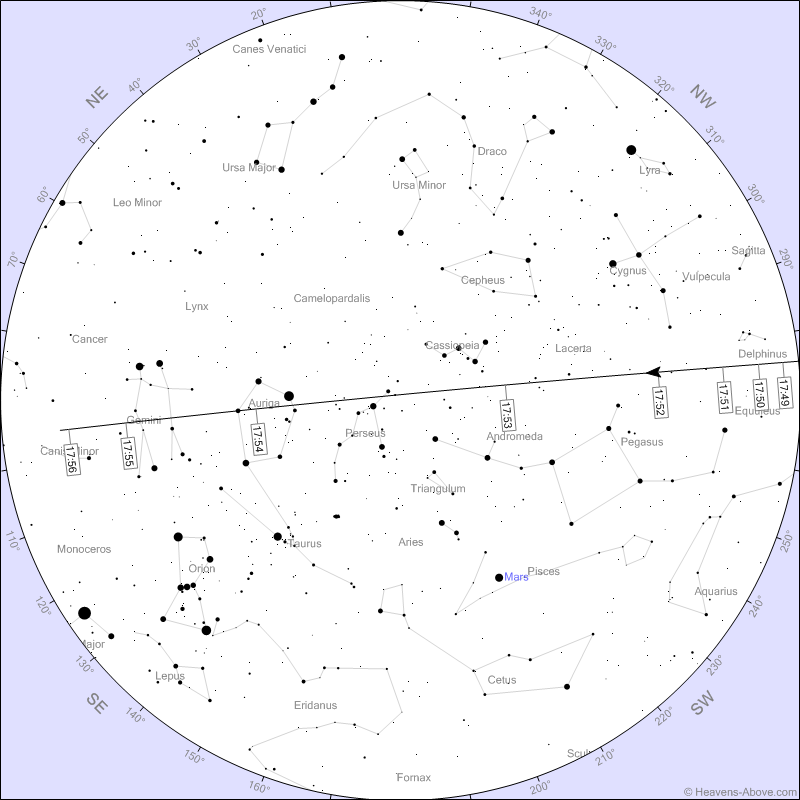 I have manually followed the ISS a few times with a 12.5 in dob. when passing almost directly overhead. Only have to move one axis. Was surprised at the image size and detail. Never tried taking photos or movies. Again, well done. 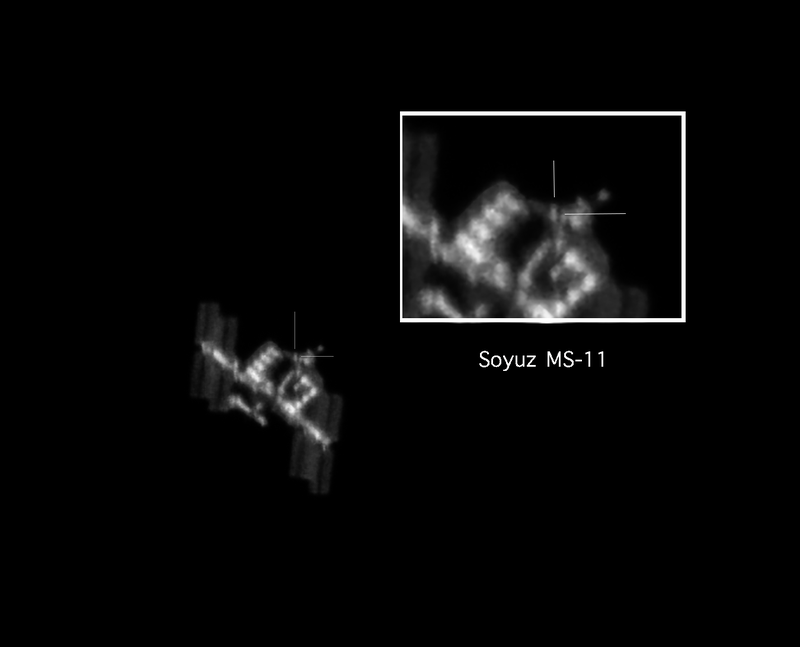 If you think about it, the apparent size of ISS when over head is around 55″-60″ (arc second). Compared to planets these numbers will give you an idea how “large” they appear in the night sky (pretty big). For example Jupiter’s apparent size this morning was 35.1″, so if ISS was transiting Jupiter this morning, it should have been larger than the disk of Jupiter… Obviously in real life things are different right now, Jupiter is so low in the sky ISS wouldn’t appear that large when so close to horizon. 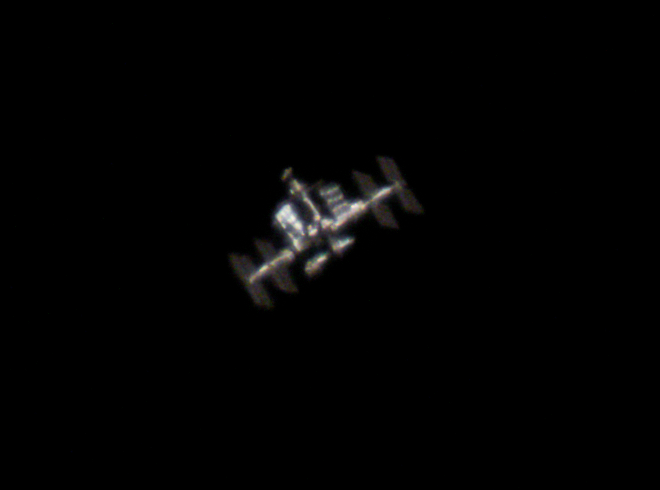 All in all ISS imaging is a relative rewarding activity, even at smaller magnification one can capture photos which will show the solar panels.